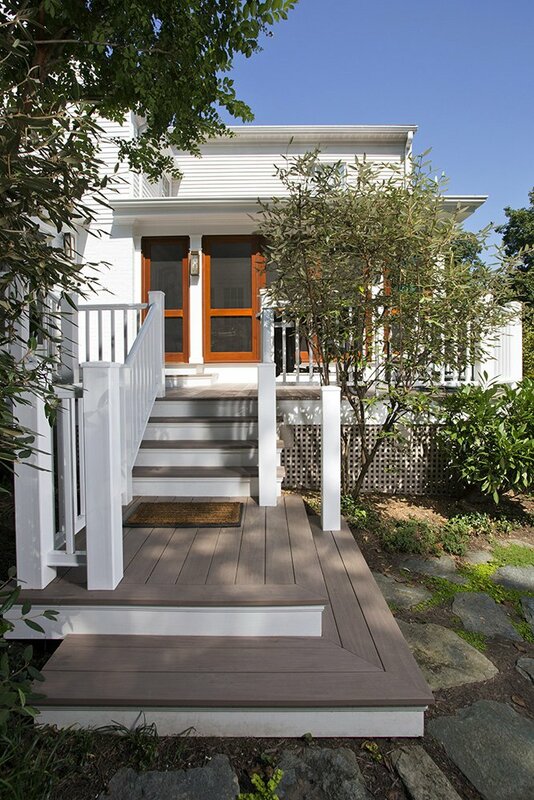 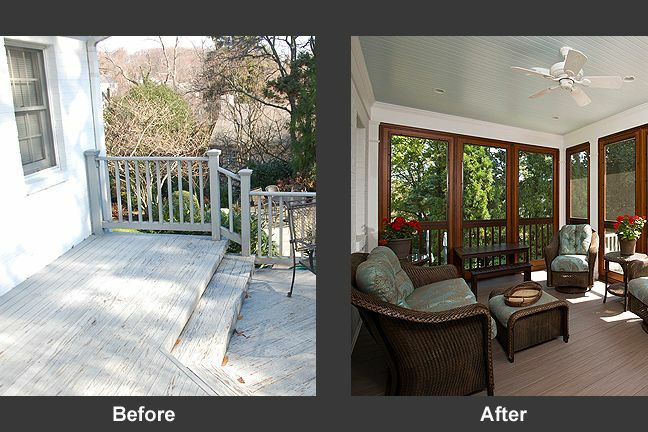 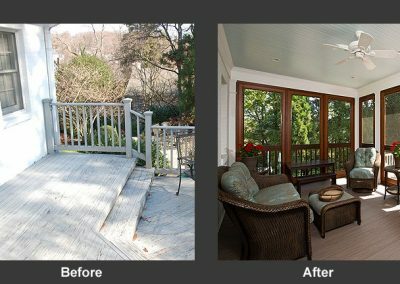 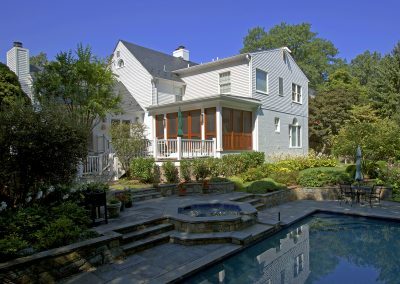 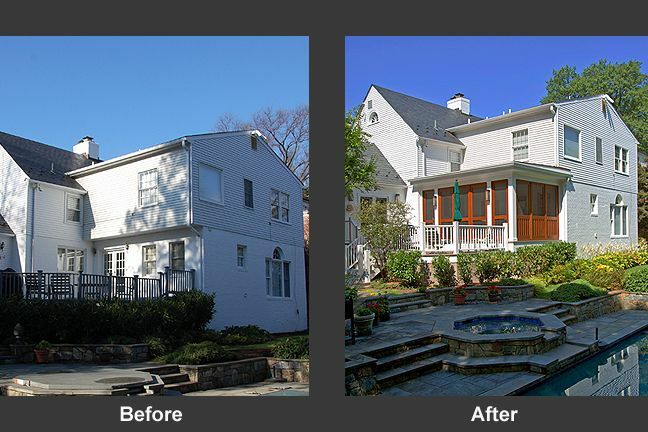 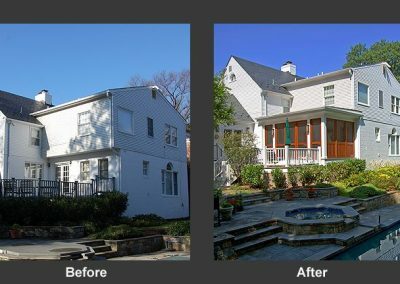 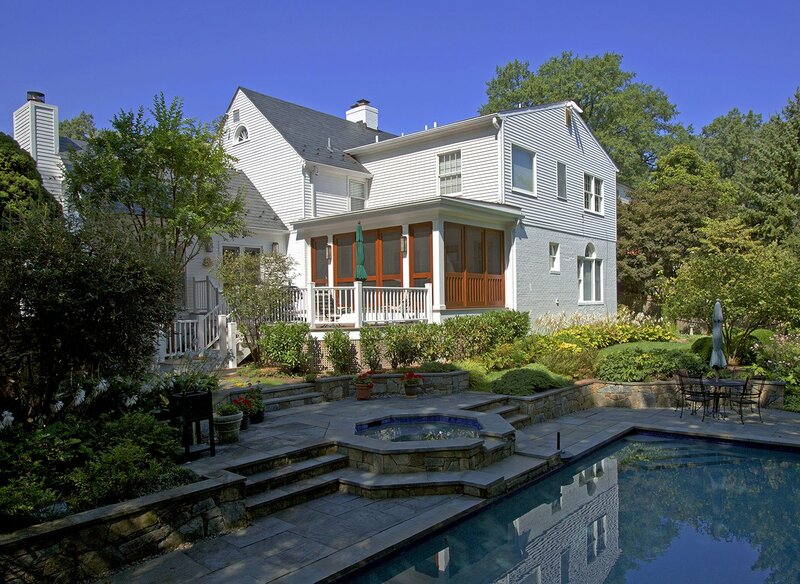 The owners of this Chevy Chase, MD home wanted a space to comfortably gather and enjoy their backyard with family and friends. 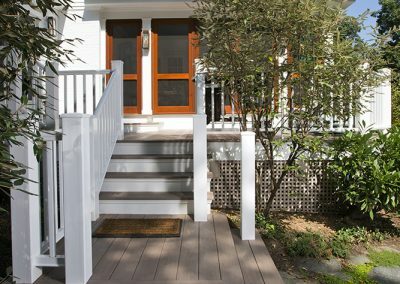 The aging deck with awkward level changes just didn’t fit the bill. 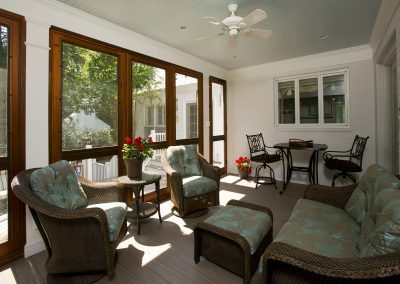 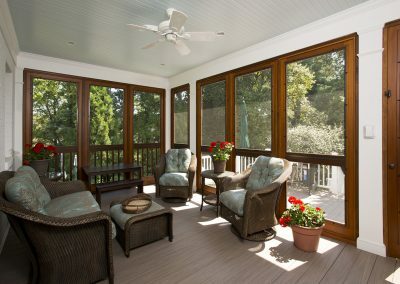 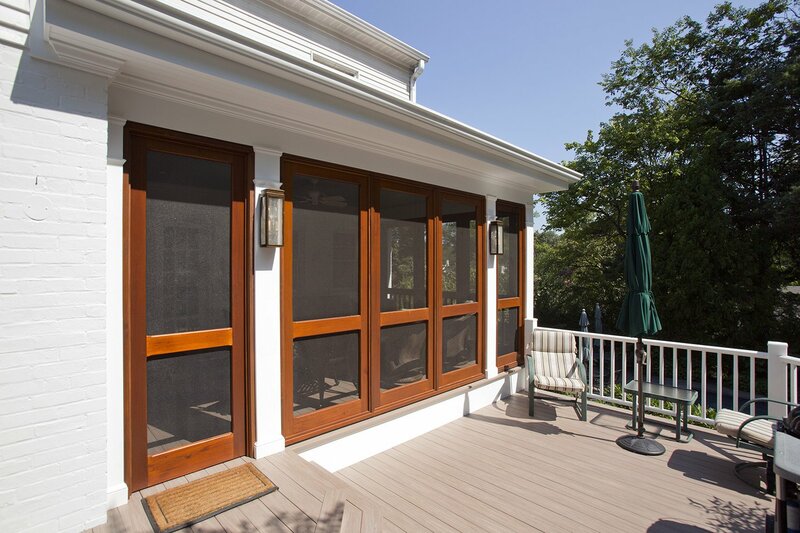 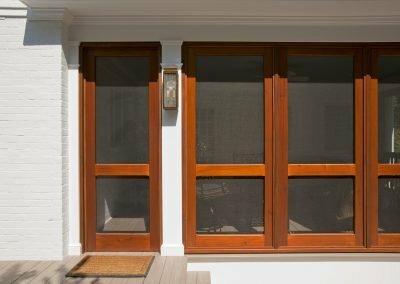 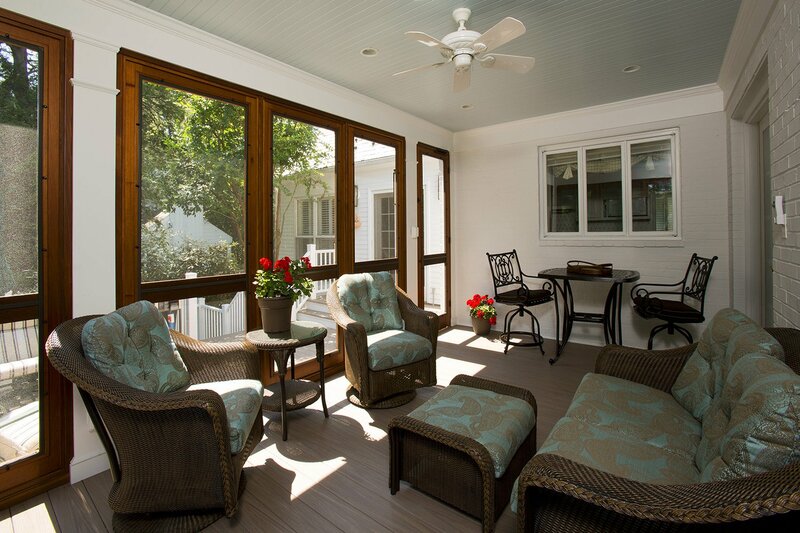 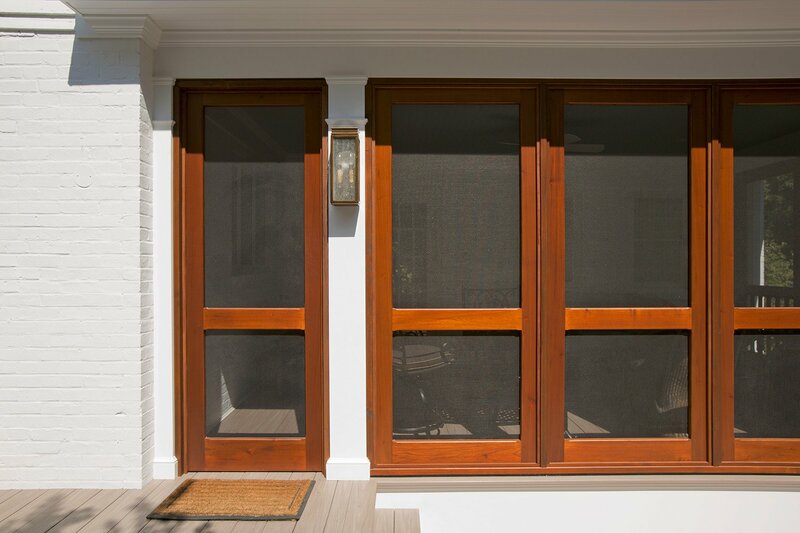 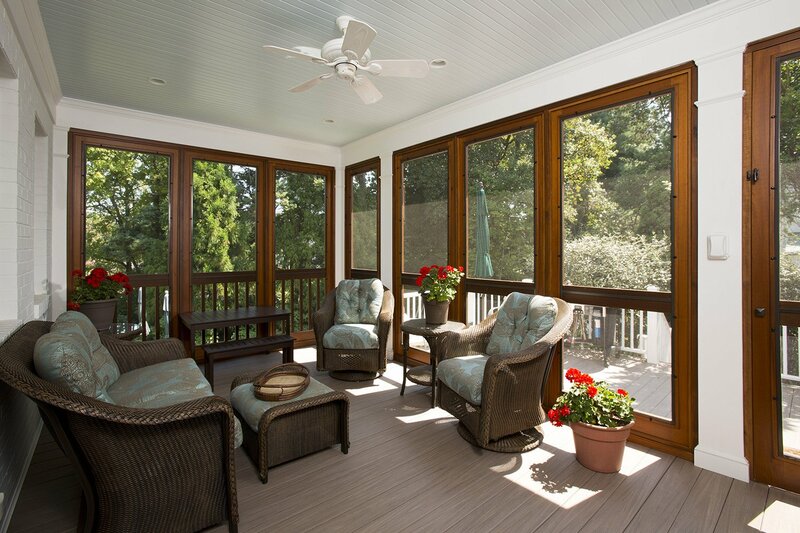 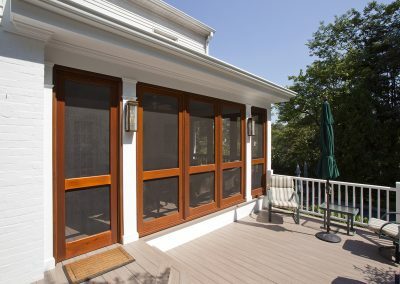 Today a new screen porch is the perfect place to entertain while watching the grandchildren swim.